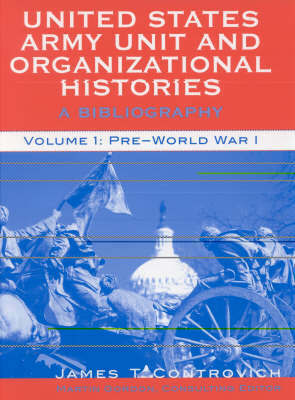 James Controvich's magisterial updated Bibliography is the first truly comprehensive listing of all Army unit histories that will not be superseded for years to come. Collectors, genealogists, librarians, museum curators, and amateur and professional military historians have all come to rely on Controvich to provide the necessary starting place for their research. His first edition, long out of date and hard to find, has remained in demand. This completely revised, larger yet easier to use second edition is an essential addition to the libraries of all interested in the history of the United States Army. Now in two volumes for ease of use, each volume contains thousands of entries guiding the researcher to both scarce and common histories that have been written about the Army from almost its founding in 1775 up to modern times. From the American Revolution to the Balkans, with attention to the Civil War, the World Wars, and countless other major and minor conflicts, Controvich has brought resources for their study into one place, making them available as they never have been before.